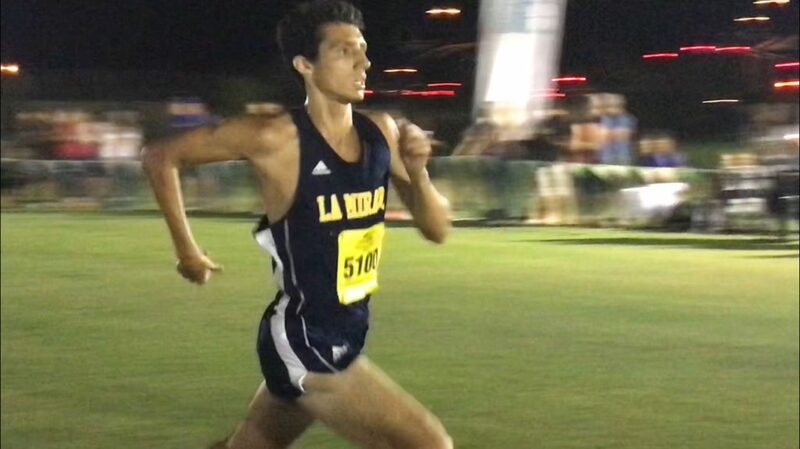 The smaller schools kicked off the action Friday at the massive Woodbridge Invitational – run over a very fast and flat 3-mile course at Silverlakes Sports Park in Norco. The SGV #4 Bishop Amat girls opted to run in the divisional race rather than the big race on Saturday, and turned in a very fine performance to win their race with 94:04 team time, 22 seconds better than the previous week at the Cool Breeze Invitational. Led by Olivia Paez (1st SGV/18:01), the Lancers were especially helped by a big seasonal improvement from senior Gia Carrera, which now gives them five solid performers. This will greatly boost their post-season chances. The South Pasadena girls also made their mark on Friday. Running their first meet of the season, they had three frosh in their scoring five, and registered a solid 95:48 effort. Best for the Tigers was frosh Sydney Morrow (4th SGV/18:16), with their #5 only 1:18 back. 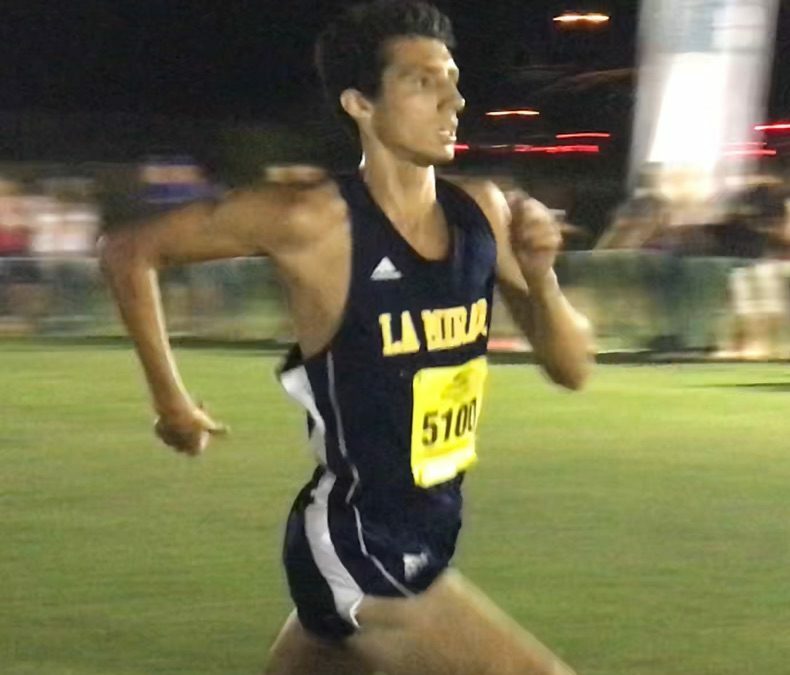 La Mirada’s Christian Santiago continued his solid senior season with a SGV best for the day of 15:29, but the Matadors had a bit of a rough day relative to expectations, with his next teammate nearly a minute back. Damien turned in the best boys performance on Friday. Soph Danny Ebiner emerged as the new team leader at 15:46, a nearly two minute improvement from his run here as a frosh. Just as important was the run of frosh Eric Martinez – his 15:54 time was the best by an SGV 9th-grader this year, and it now gives the Spartans a solid first five. 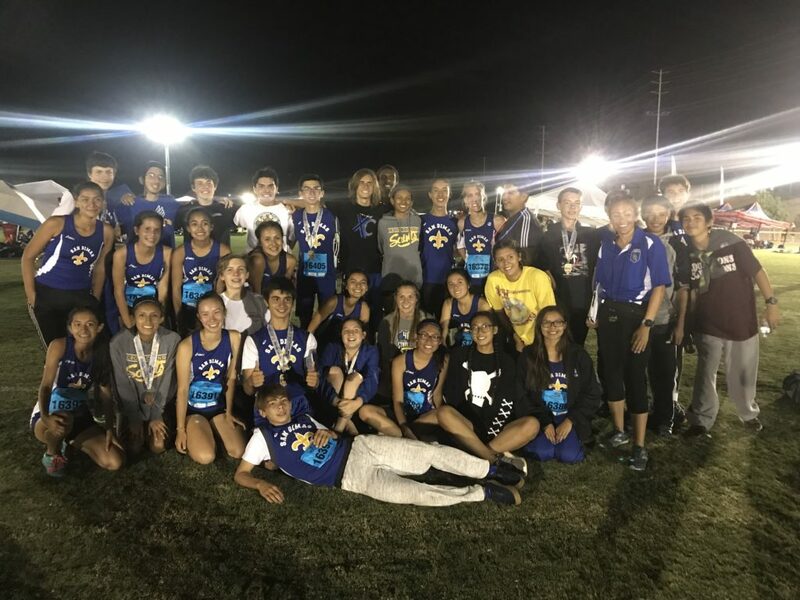 The San Dimas Saints and the 14 Medals They Earned! Way to go San Dimas Saints! !